The Mustad Sharpener is an ellipse shaped metal bar with a diamond dust coating, made for sharpening all types of hoof knives and toeing knives. 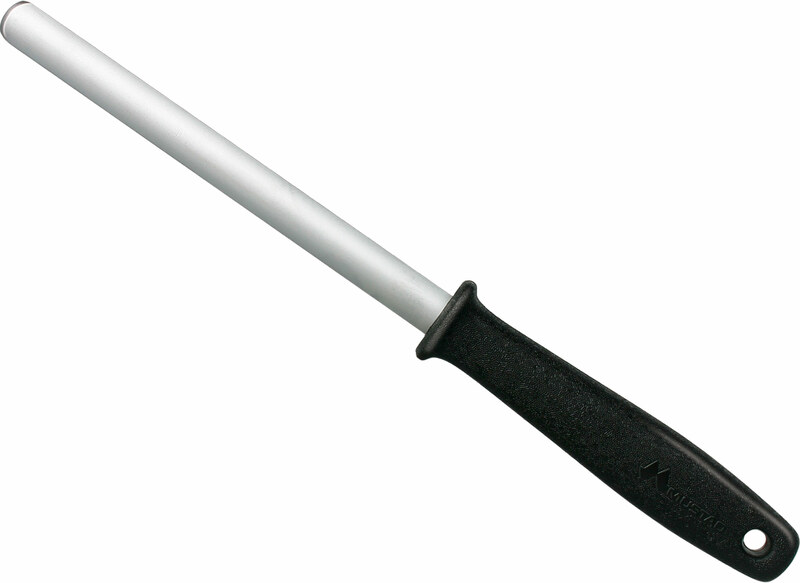 The ergonomically designed plastic handle with guard prevents your hand from sliding over the blade. The sharpener should only be used on dry and fat free knives, otherwise these fluids will clog the sharpening surface. only use on dry and fat free blades!